The Alta Ribagorça region has a wide network of paths that used to link all the villages of the different valleys. Here is a series of routes that will allow you to know more about the riches of the natural and cultural heritage of this region of the Pyrenees, from Aigüestortes i Estany de Sant Maurici National Park to the Romanesque Routes and the most valuables treasures of the Catalan Romanesque churches of Boí Valley (World Heritage Sites), erected in the middle of really amazing landscapes. Walking through the region will allow you to enjoy the local gastronomy, the wide range of accommodations and the variety of home-made products. 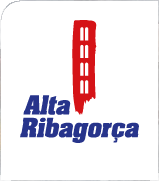 Discover Alta Ribagorça hiking! A whole region at your feet!